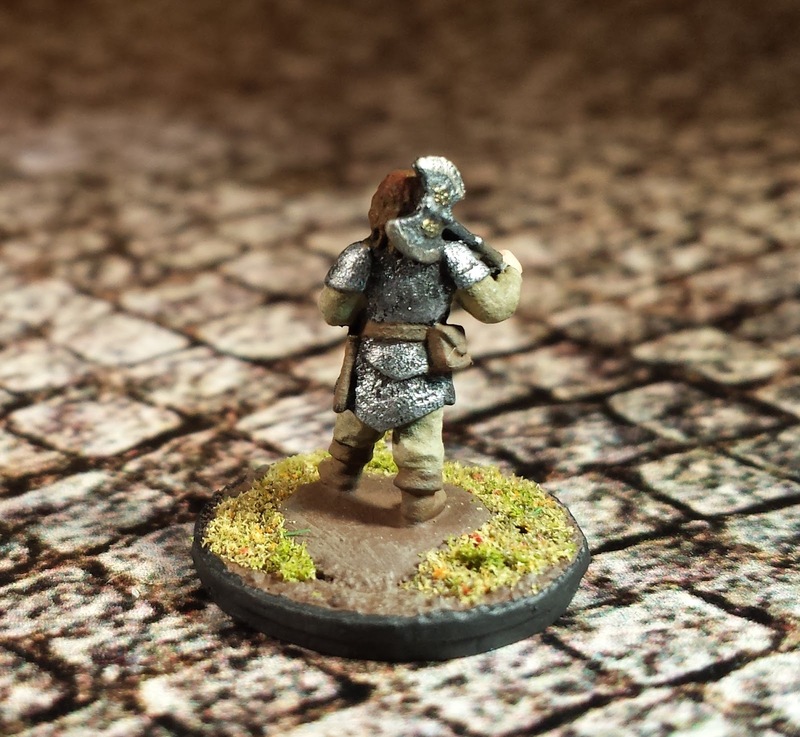 Another mini that I meant to have ready for Arachnophobia Game 1, but have only recently finished with game 6 on the horizon, is this dwarven fellow. 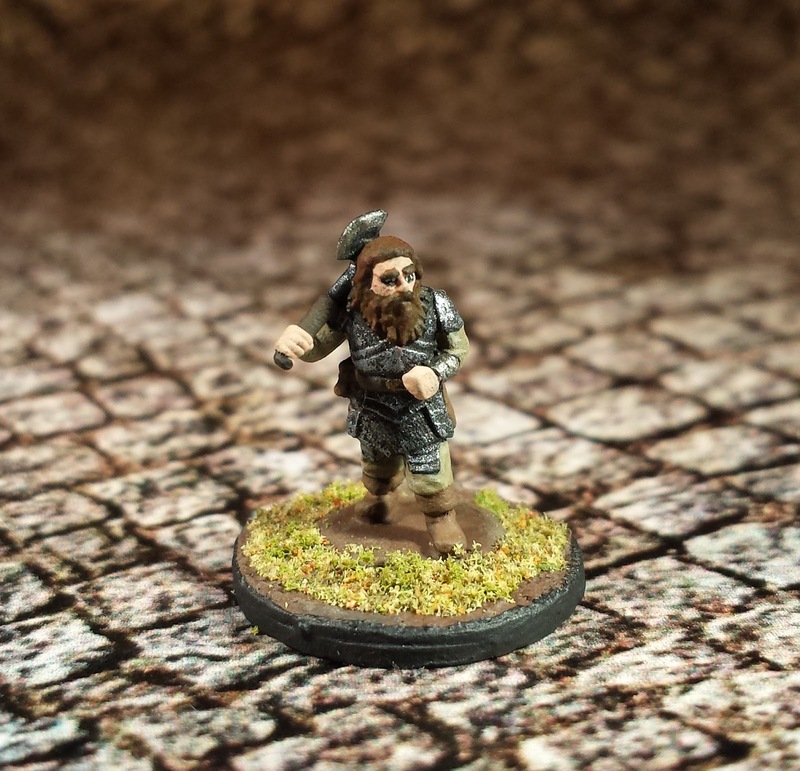 This guy is from Khurasan Minatures and is a great generic dwarf. Though, I would have made the arms a tad bigger. 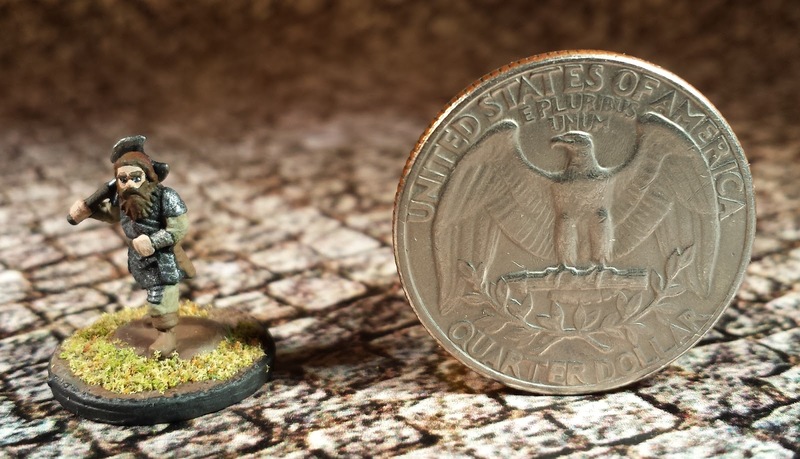 But all in all a great dwarf mini, and our first male dwarf on the mini shelf, so that is pretty cool. Aside from Dave's Conquest of Frey Campaign where we have the option to play as Dark Dwarves, there aren't many people who are interested in playing as members of that broad mountain dwelling race. So they have been largely unneeded among my collection. But in an effort to expand and diversify I figure I would finally finish him up, and I am sure we will have use for him soon, especially in our Hymns of a Vagabond campaign where we seem to be going deeper and deeper in Dwarven lands.